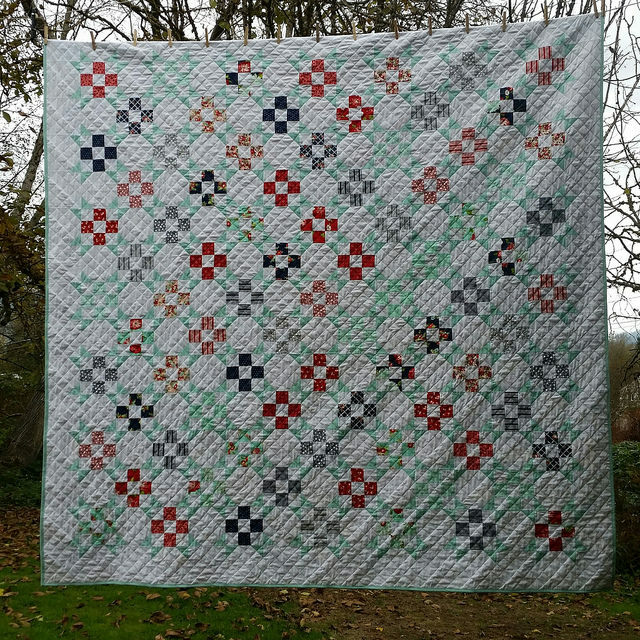 This quilt/project finishes at 90″ x 90″. 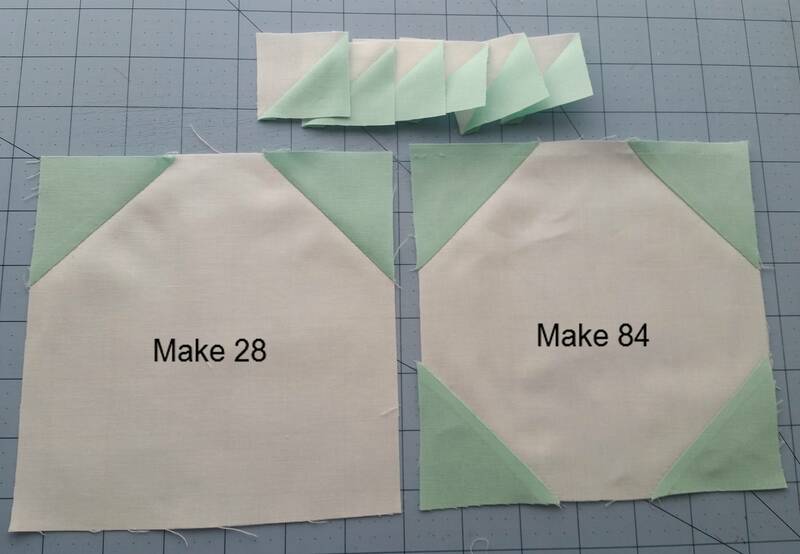 You will be making 2 different blocks – 28 will have 2 corners snowballed and 84 blocks will have all 4 corners snowballed. 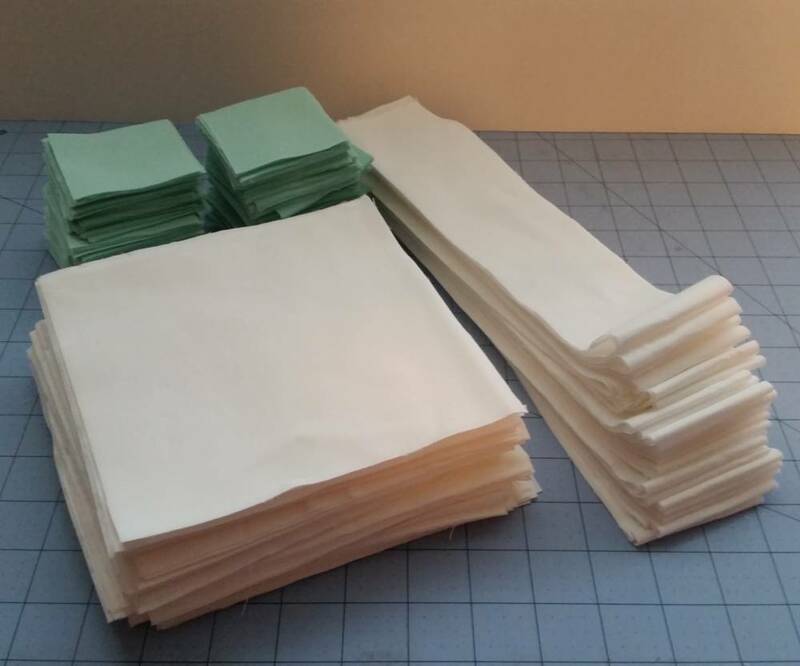 Set aside 28 of the 6.5”x6.5” background squares – these will be left blank. The remaining 112 6.5”x6.5” blocks will get 2 sides ‘snowballed’. 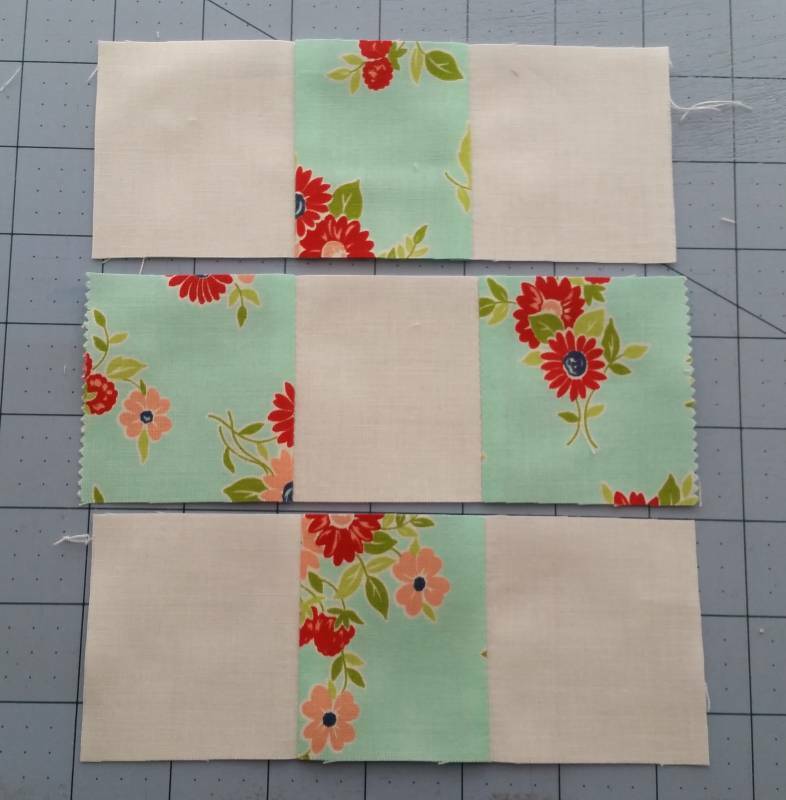 Start by putting a 2.5”x2.5” square on the corner and stitching from corner to corner. 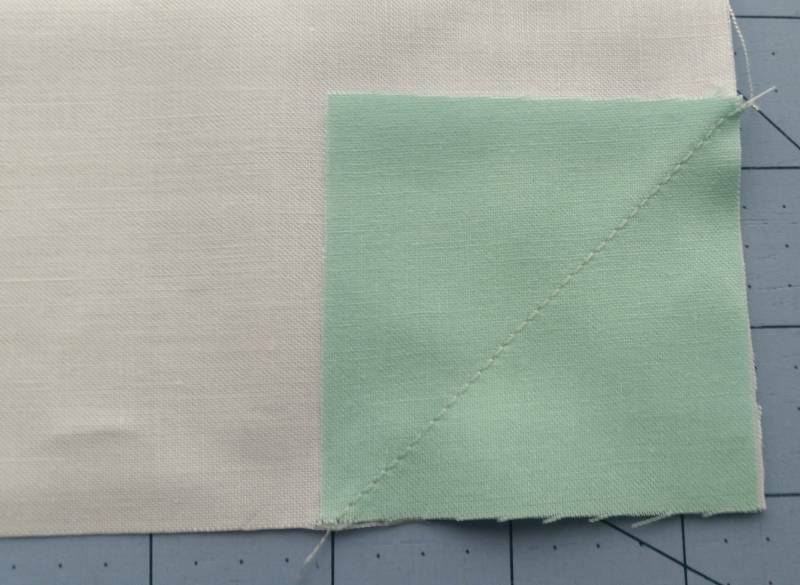 (optional: stitch a second seam a little less than 1/2” from the first to save your corners to make tiny HST’s). 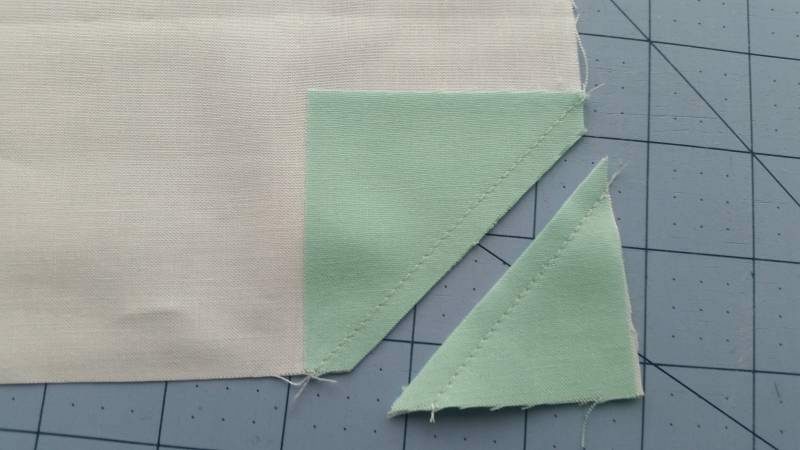 If you decide not to save your corners, just trim 1/4” from the initial corner-to-corner seam. When you have all with 2 sides ‘snowballed’, set aside 28 (these are done). The remaining 84 you will ‘snowball’ the remaining 2 corners. 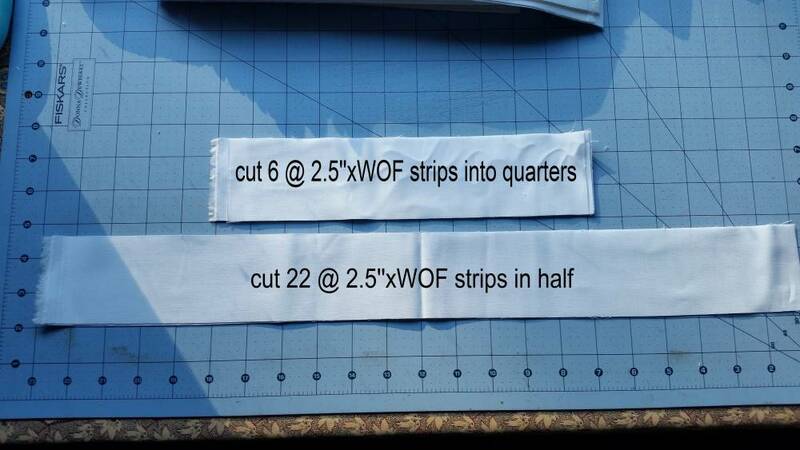 Subcut strip sets into 2.5” wide sections. 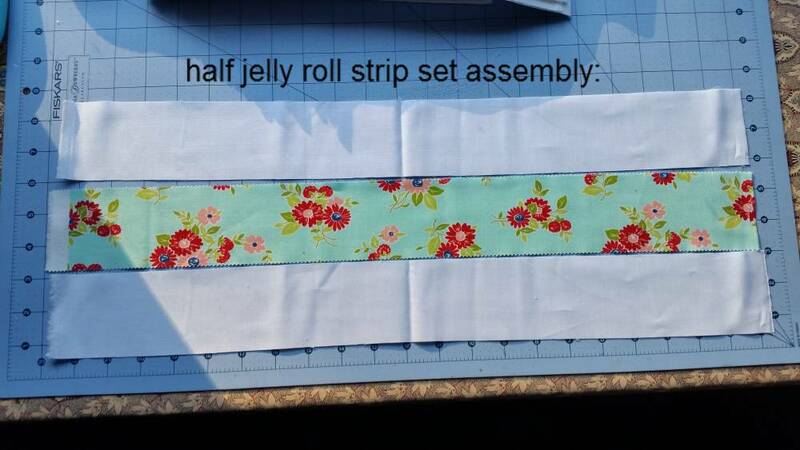 This will give you enough pieces to make four 9-patch blocks per jelly roll strip. 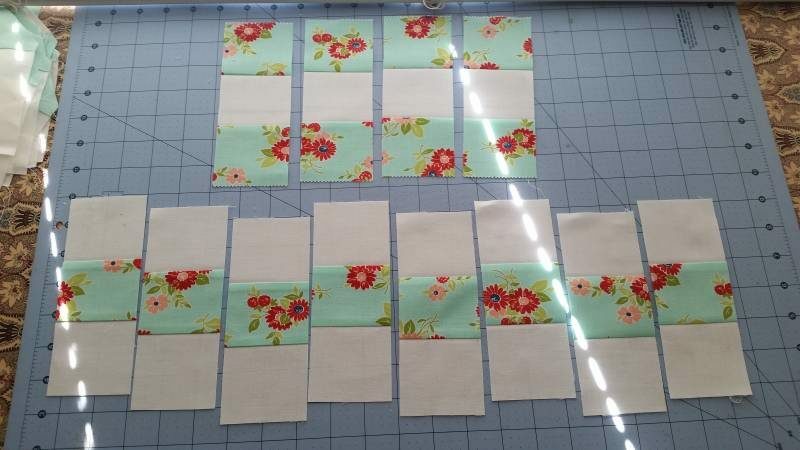 Assemble the blocks (seams will nest if you pressed toward the print). 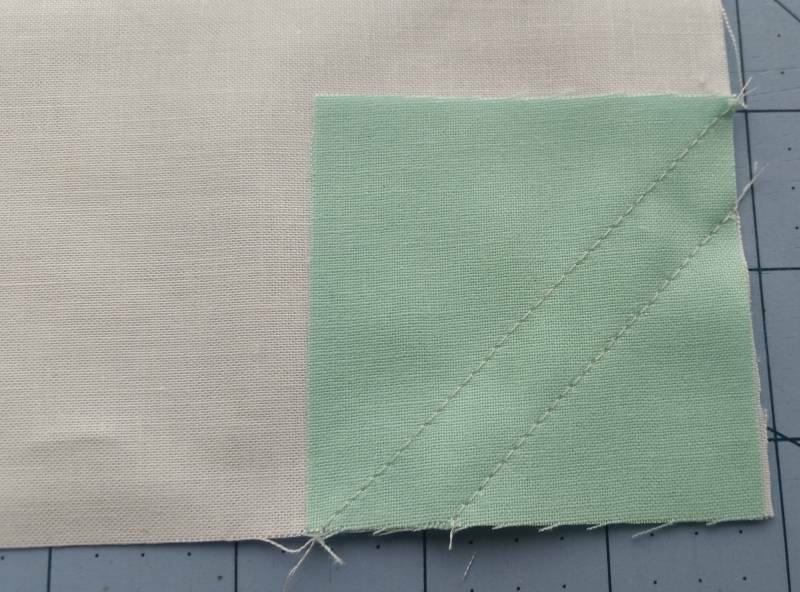 Stitch together using a scant 1/4” seam. 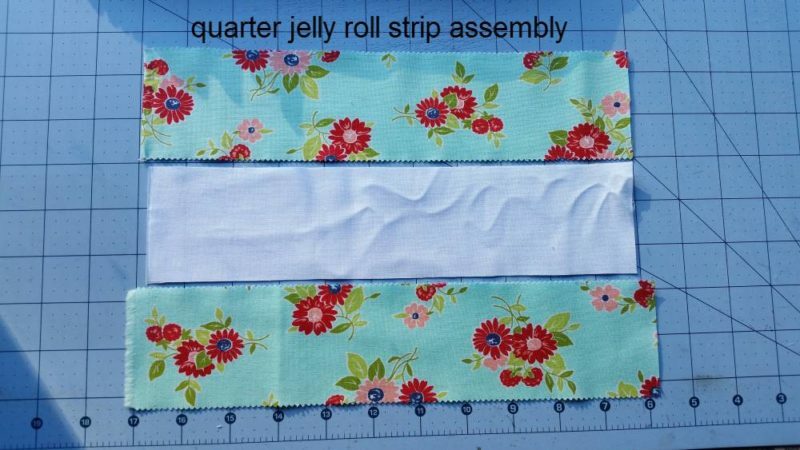 Continue for all 22 jelly roll strips creating 88 9-patch blocks (you will only need 85 blocks for the front, so you will have 3 spare blocks). 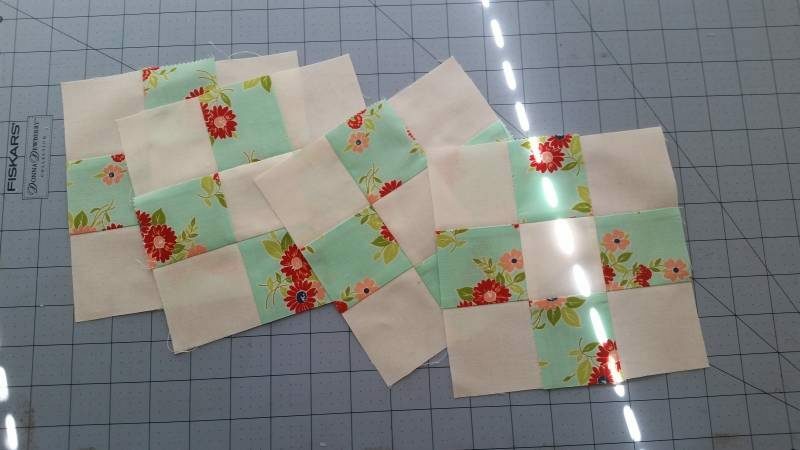 When you finish these, you are done making the blocks! Now you can assemble your blocks into your finished quilt top – there is 15 rows of 15 blocks, but they are really easy to sew together! Reference the finished quilt top photo for layout. This entry was posted in Quilt and tagged Bonnie and Camille, Cascade Quilts, The Good Life. I love this quilt! 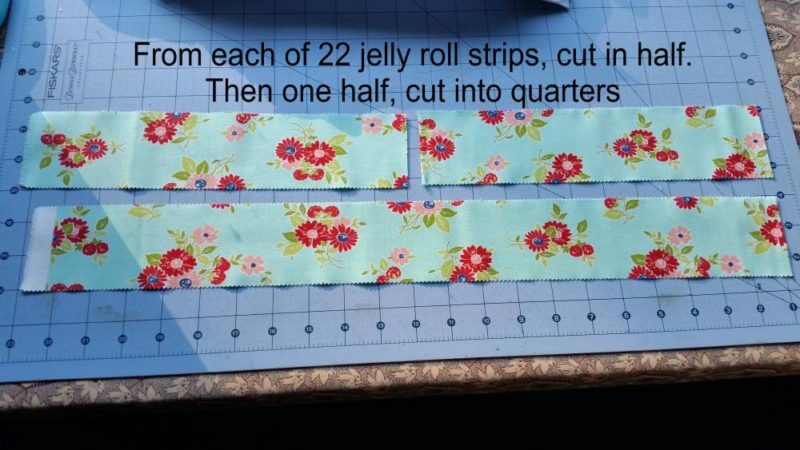 I’m always needing jelly roll ideas!!! I love the vintage touch that the solid aqua adds. Great project. Thanks for sharing. This is fabulous! 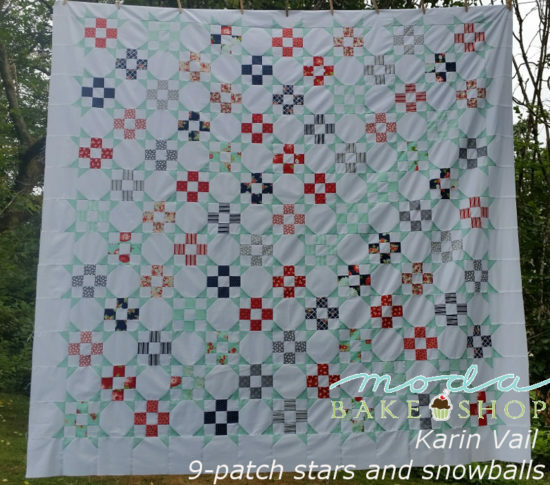 I love this Bonnie & Camille collection; it’s perfect for this quilt. 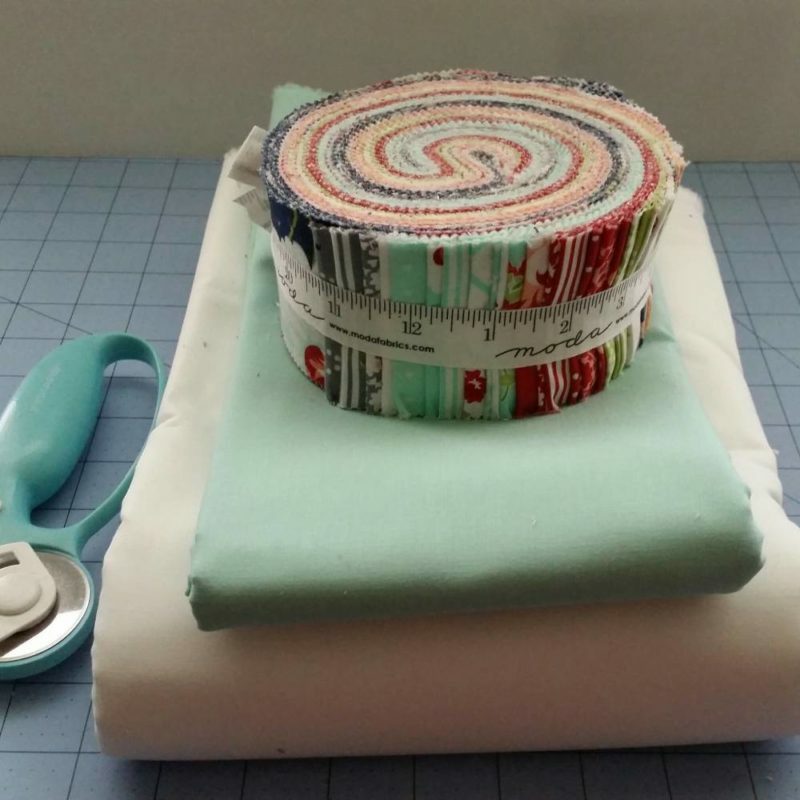 Great use of a jelly roll! 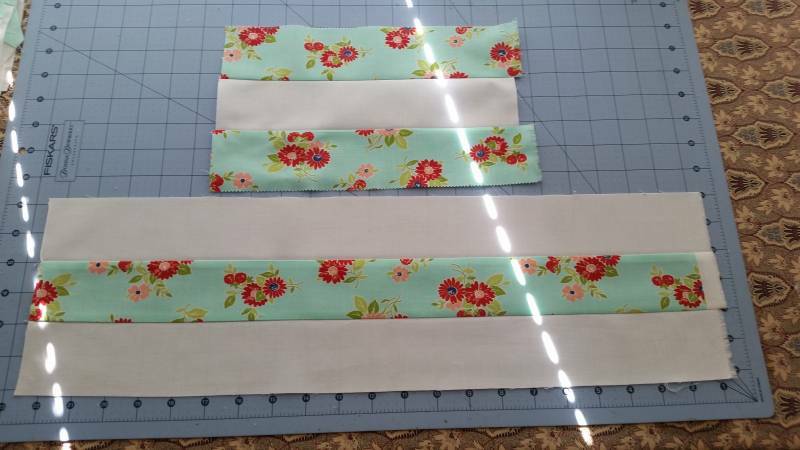 I have this jelly roll in my stash – so glad you posted this quilt!